Style this editable vector map of London postcodes how you want and use it for any commercial purposes. 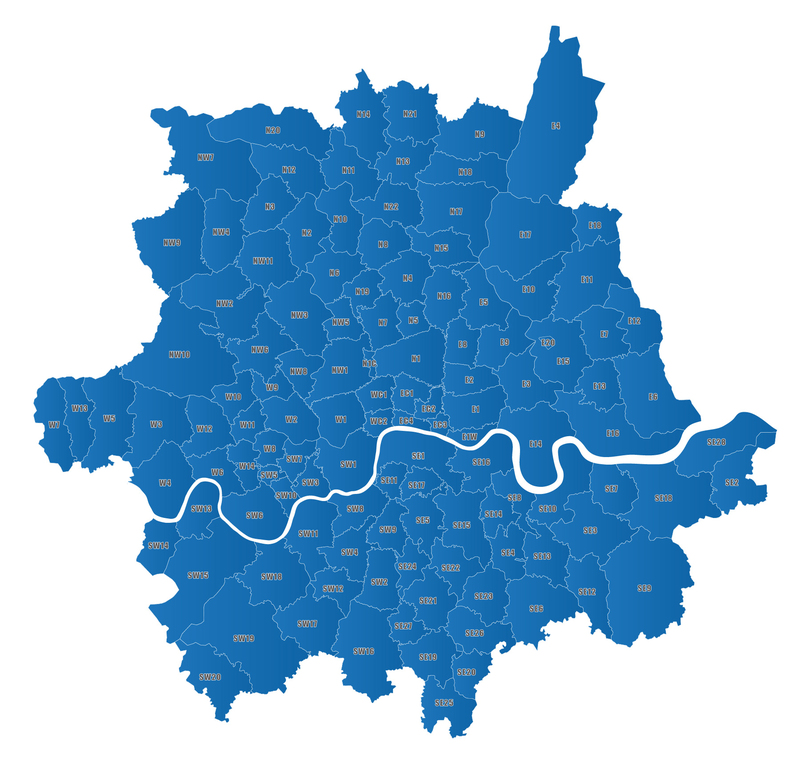 All the London postcode areas are included with accurate, interlocking vector shapes so you can highlight them individually or as a grouped layer. You can scale the text and crop according to your needs while the image remains sharp. We have included paths for the Central London postcode sub-districts within the dense areas of EC1, EC2, EC3, EC4, WC1, WC2, W1 and SW1. These are blown up on a separate map (see the second styling example). The sub-districts are also on the main map but set to hidden in the map’s opening state because they are only legible on the full map at poster size. Turn them on with one click if you want to show them on the main map (zoom into the central area on the third styling example to see a demo). The Thames forms the boundary for many postcode areas. We have included a separate layer for the Thames so that you can easily turn it on or off according to whether you feel it is important to show the river or not. We also sell a Map of Greater London postcodes plus boroughs and major roads, which has more detail and context than this simpler map base. We also have a UK postcodes map – some customers need both maps as the London postcodes are far too dense to be legible on the UK map. Would you like an animated version of this London postcodes map for your website? This base map can be bundled with an animated version specially built for websites. See the London postcodes map + animated web version for details.